Hard cover 1997. This book is in good condition. 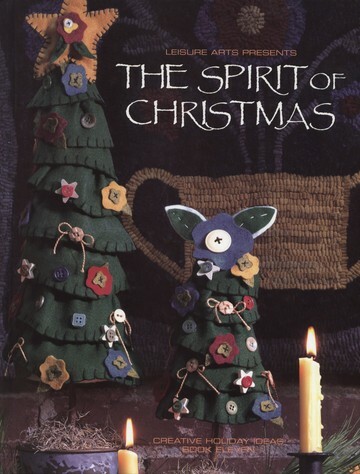 This book has craft and food recipes for the Christmas holiday season. Ornaments, tree trimmers, stockings, tree skirts, needle point, clothing design ideas, cakes, pies, cookies, soups, drinks, and main dishes. Patterns and detailed instructions. In addition there is a leaflet titled "Santa's in the kitchen" with additional recipes that comes with this book. Price includes shipping and a tracking number.